A beautiful birthday present that I receive in the mail from my Dad. 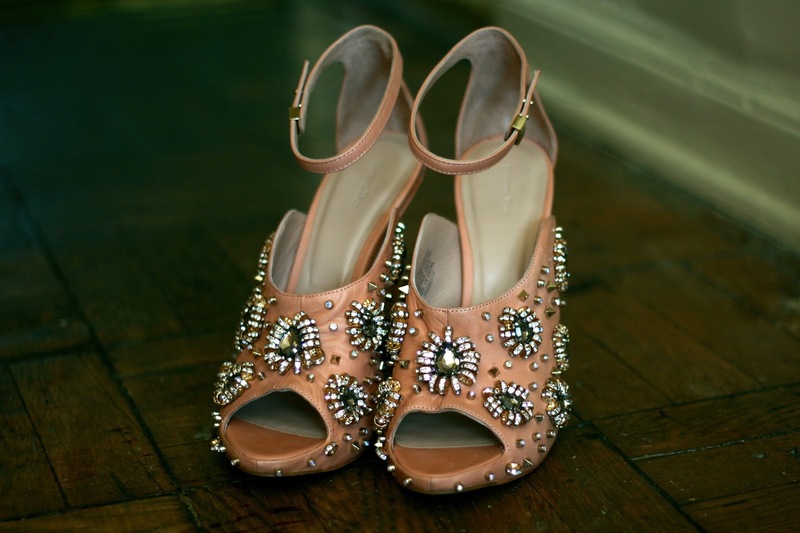 I remember seeing these beauties on a lady who was featured on a street style tumblr, an I’ve been in awe ever since. So when the question for what I wanted for my twenty-third birthday came up. I told my family all I want is Rachel Roy “Dal” heels. My dad was hesitant because all I ever ask for were gift cards and money to shop. But now that I am at a age where I can buy my own things, I gave him something that could be memorable and pleasant. I felt as though he was trading my big girl shoes for heels. Allowing me to be my own person, a young woman on her way. Never thought I would be ready to put up my tiara for a crown. But I’m ready.